ENMAX Network WR 50819 3rd Ave & Centre St - Robert B. Somerville Co. Limited. 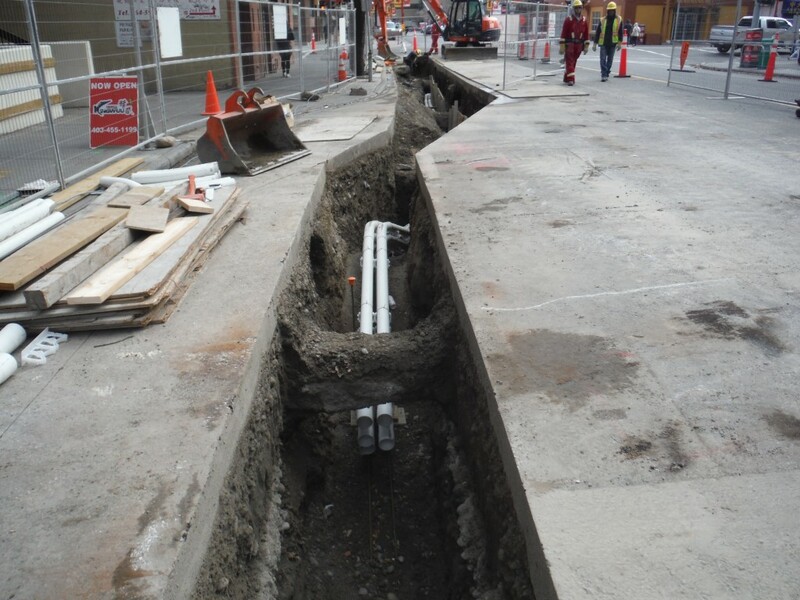 Robert B. Somerville installed a new 8-way ductbank between two existing manholes in the downtown Calgary area for ENMAX. Challenges included working in an urban city environment, traffic, the rerouting of ducts around existing utilities, and the proximity to live cables when tie-ing into existing network vaults.